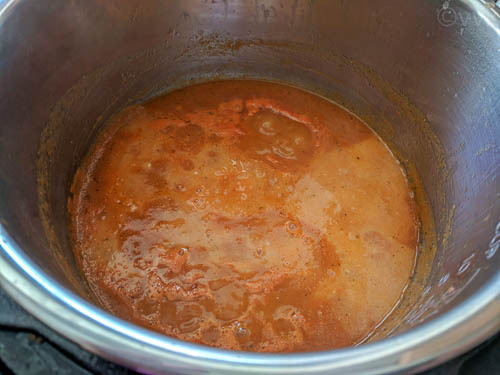 Last week, I posted my Instant Pot Refried beans recipe, and now it is time for the Enchilada Sauce recipe with fresh tomatoes. Before sharing Mexican Entree recipes, I thought of sharing the sauces and condiments that you use for the main dish. 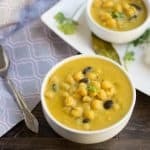 So what is enchilada sauce? 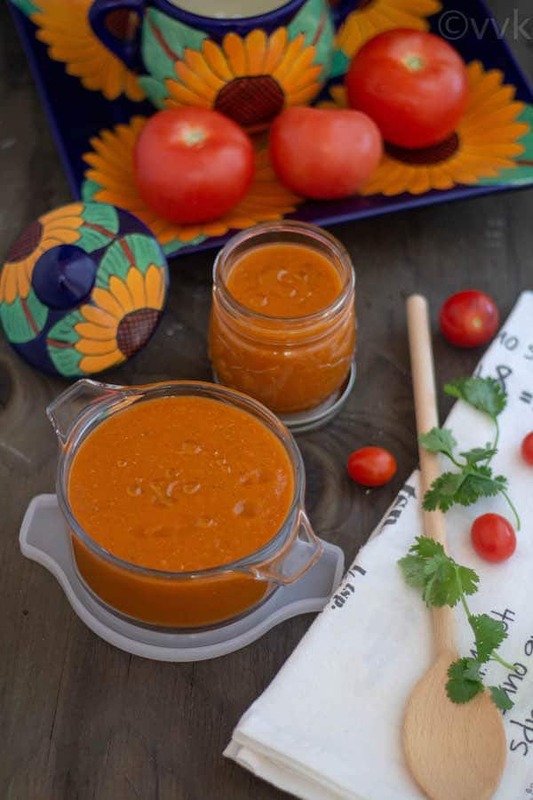 It is a spicy sauce traditionally prepared with Chile peppers and tomatoes, and it is used explicitly for enchiladas. 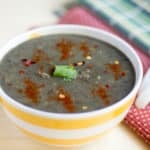 But it is a very versatile sauce, and I love to use in enchiladas, tamales, tacos and even as a dip for chips and empanadas. 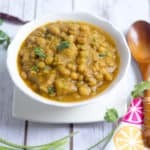 You can also use it as a pasta sauce and prepare a fusion Mexican pasta dish. 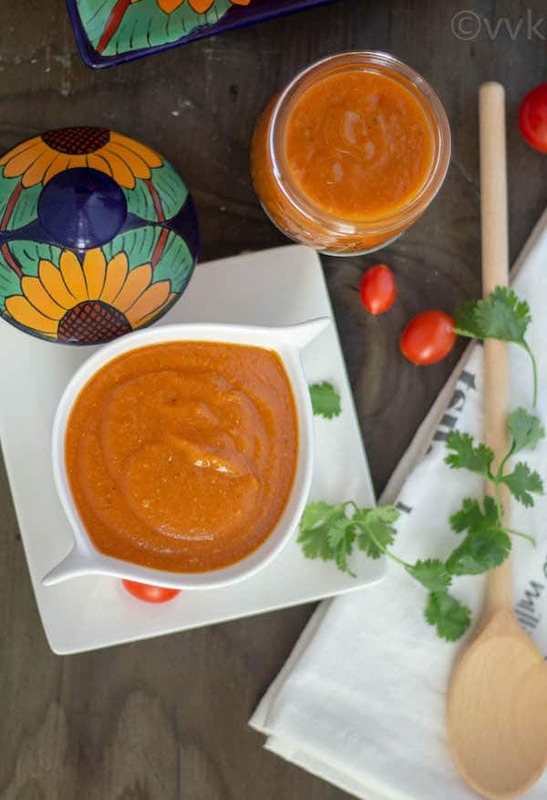 This sauce is very similar to our Indian tomato-onion gravy. 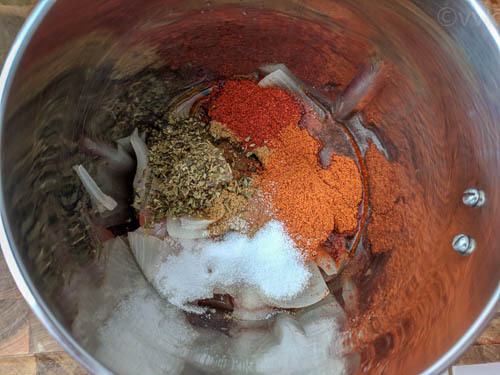 Instead of whole spices and garam masala, we use a lot of cumin powder, chili powder, and cayenne pepper for this enchilada sauce. I think I should say, I went with this combo of cayenne and chili powder. :-) There are a lot of enchilada recipes out there on the internet. As always I went with the spices and measures that suits our preference. I saw the addition of cinnamon in one of the recipe and as I like the flavor, I just added a pinch. But that’s completely optional. I am not claiming this sauce by any means as traditional or authentic. :-) But I can sure assure that it is tasty and healthy with no preservatives and added colors and also no high sodium. That’s the best part about home cooking right? Traditionally, for enchilada sauce, APF is used as a thickening agent, but I went with Rice flour and made it gluten-free. 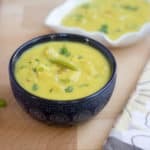 We usually use rice flour as a thickening agent for sambar, so I decided to use that instead of APF. 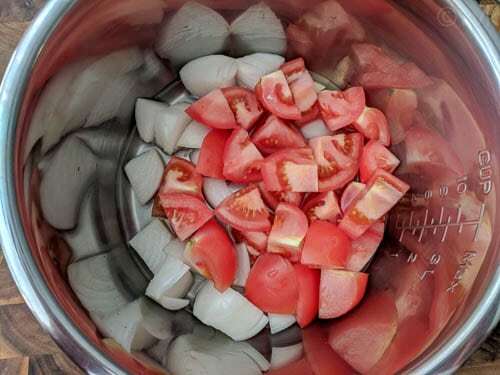 Fresh tomatoes, onion, and garlic add a great flavor to this sauce. 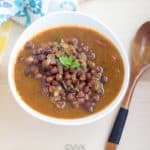 I made this sauce in the Instant Pot, but you can make it easily in the pressure cooker or open pot method as well. I have included that in the recipe steps. 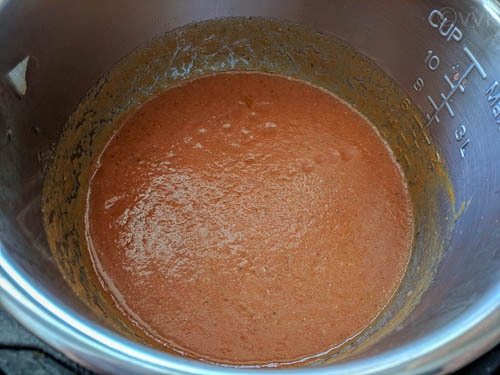 Without any further ado, here comes my Instant Pot Enchilada Sauce. Chop the onion, garlic, and tomatoes roughly. 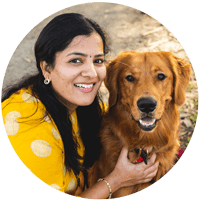 Add the chopped veggies along with 1 cup of water in the Instant Pot. Pressure cook in manual mode for 3 minutes and allow the pressure to release naturally. 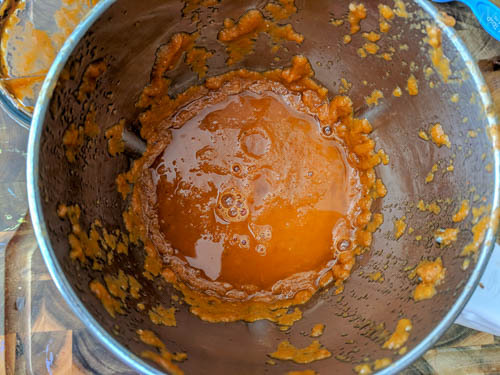 When the pressure is released, carefully open the lid and strain the liquid and reserve it for mixing it with rice flour. 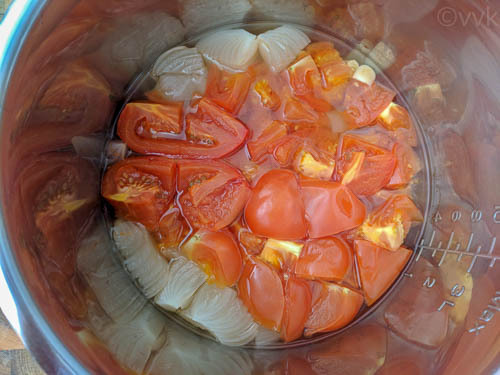 Remove the tomato skin and add the cooked veggies in the blender. Also, add all the spices, except vinegar and rice flour and puree it. 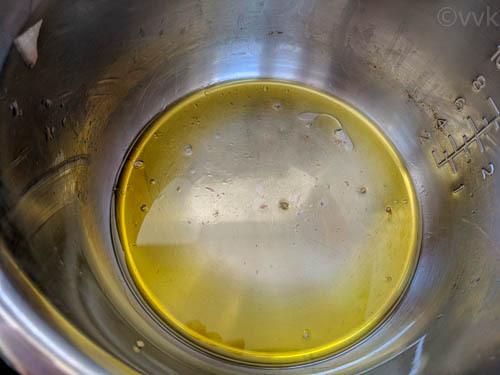 Now set the IP back to saute mode and add olive oil. 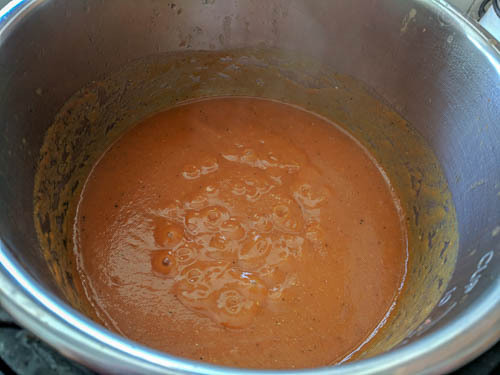 When the oil is hot, add the pureed mix and allow it simmer for 10 minutes. Meanwhile, mix the rice flour in the reserved veggie water without any lumps. Add this to the simmering sauce and cook further for 5 minutes stirring for every two minutes. The sauce will slowly thicken now. After 5 minutes, turn off the IP and add the vinegar. Mix it once. Allow it cool and store in air-tight container. Add the chopped veggies along with 1 cup of water in the pressure cooker or pan. Pressure cook for two whistles and allow the pressure to release naturally. Now head a pan or wok and add the olive oil. After 5 minutes, turn off the heat and add the vinegar. Mix it once. Allow it cool and store in air-tight container. Vinegar is optional; instead, you can use lime juice also. Cinnamon is optional as well. 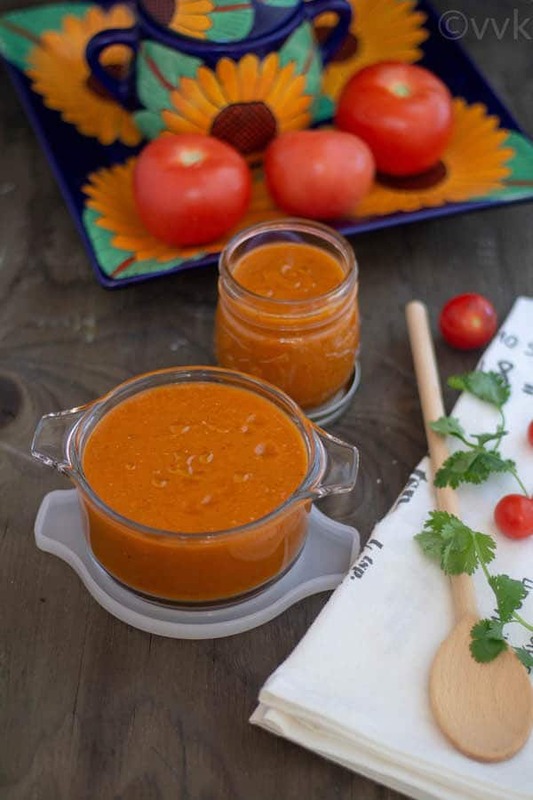 A spicy and a lip-smacking Mexican enchilada sauce from scratch. 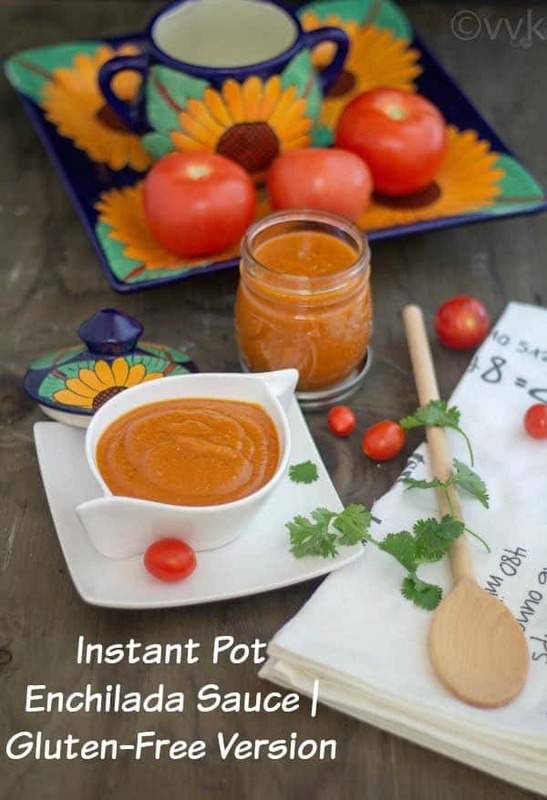 A gluten-free Instant Pot Enchilada Sauce recipe with no preservative and no added food color. Wow this sauce looks absolutely delicious. Cannot wait to make it at home. 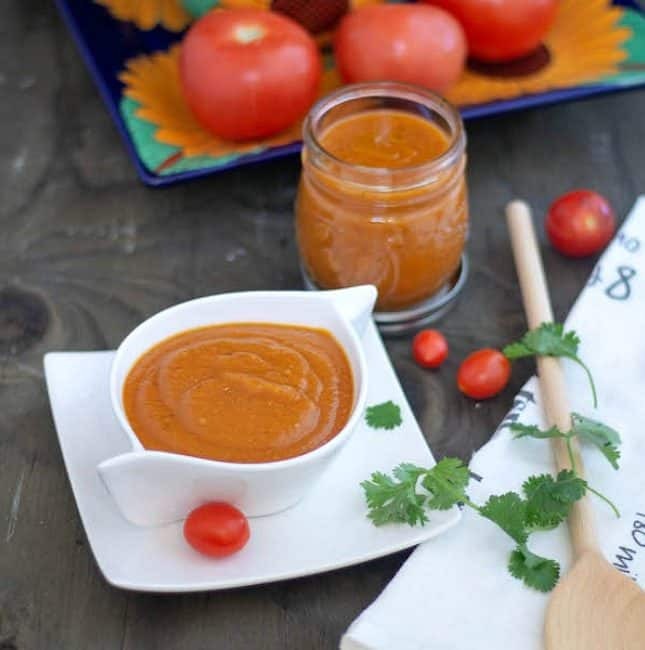 Nothing better than homemade enchilada sauce!